We love the entrepreneur and small business owner. But today we at the Grow the Dream Show have examples of a little guy getting it wrong and a big corporation getting it really right. First, an example of Pure Killer Content by a major corporation. SC Johnson’s Ziploc Division created a Facebook post that, reasonably enough, is aimed at selling their meat and potato product, Ziploc bags. Like all good content, it keeps it uncomplicated with a great visual. First, they start with perfect, simple artwork. The picture is two-part, top and bottom. The top part is a heart-shaped muffin pan with broken crayon pieces dropped into the muffin hearts. The bottom part has the melted crayons in the shape of muffin hearts, one sitting on a crayoned up page. That is the image. You can absorb what it is about in a two-second look. The Facebook text above the photo artwork continues to keep it simple. So who buys Ziploc bags? Think about it…. Yup. Moms. And moms by definition have children, who at some point are big crayon users. This marries the product to a creative idea aimed at the perfect target market. It’s a home run, and the engagement proves it. 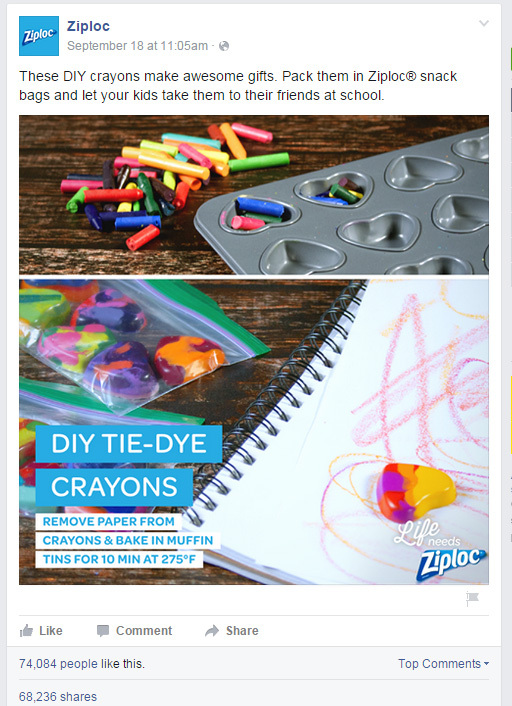 Ziploc’s Facebook page began filling up with people who posted pictures of what they did with crayons in different muffin shapes, getting more and more creative. It’s fantastic engagement, beautiful branding, seamless marketing, and it all began with Pure Killer Content. Bottom line: Know your target market and take time to do your content right. It’s worth it. On the flip side of that is an example of the WRONG way to automate a campaign by not taking the time to do it right. Programs such as Socedo are automated social media lead generating platforms. They are designed to allow users to find their target audience on specified social media and engage them through a fully automated campaign. Thus, hopefully, you fill your pipeline. But if you are lazy and expect a magic app to do all your work, you are going to hurt yourself. Laziness will kill campaigns on lead generators such as Socedo, just like it kills anything else. Smack. The guy got it and sheepishly admitted he need to change things up a little. Yes. More than a little. We all get these and our reactions are uniformly negative. If you send out junk like this, you’re going to get a lot of unfollows regardless of how good the app might be. If you’re going to use automation, and it may be a good idea to do so, at least change the message! This is horrible content that can create a boomerang campaign. 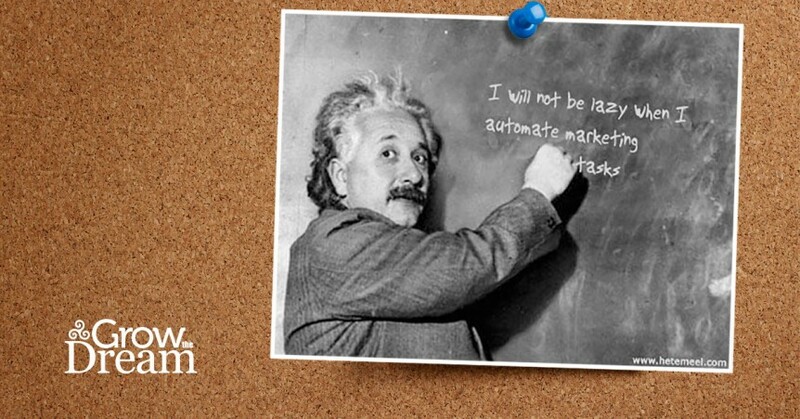 Using automating apps can be effective, but they require time on the marketers’ part. You really, really need to customize the messages. Just inserting your key word into your existing template message carelessly is a dead giveaway to the recipient that you are lazy and don’t care about them. Take the time to create something good, and useful to the recipient, carefully tied in to your product or service.